Two weeks ago my dad got both of his knees replaced. As in the things that hold his entire legs together. As in they were taken out of his body and replaced with new, robotic versions. My dad's knee pain has plagued him for years. It was so intense that your average person would have succumbed to it last century. But we're talking about a guy who once pulled his own tooth out because it ached. 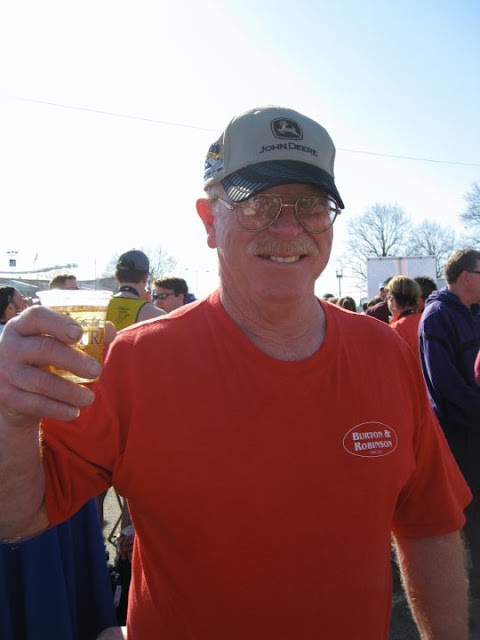 He's strong as an ox and about as close to Popeye as you can get in the muscles department. But sometimes even Popeye decides he's had enough. The night before the surgery we had dinner as a family, and we all felt apprehensive about how everything would go. But the 5 hour surgery couldn't have gone smoother. And after three excruciating days in the hospital, the new and improved Big Kat was ready to start the painstaking process of rehabilitating at home. For 40 years my dad has gotten up before sunrise and gotten home after dark. He has worked his tail off to provide the most wonderful, joyous life for our family. It is humbling to see the physical proof of his labor and love for us manifested in two 10-inch incisions. I can't recall a single time in 40 years when my dad has missed even two consecutive days of work. So as you can imagine, six weeks of downtime sounds just plain crazy. But he's two weeks in and handling it with such grace. He's doing his exercises, watching Maverick DVDs and enjoying deluxe, home cooked meals courtesy of my mom. World's best caregiver~ Selfless and kind. My dad may or may not get other body parts replaced just to bask in the warmth of my mom's love for him. almost 40 years of marriage and still stronger together. 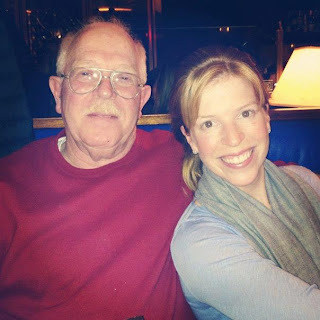 So I dedicate this post to my dad's new knees, and all the places they'll take him. Check out the new photography portion of my blog here! It is time for my second installment of Obsessed, in which I attempt to convince you to go hog wild over the things that I currently find awesome (find my first installment here). Now I know that tens of you have been waiting with bated breath for me to publish Round Two, so let's get right down to business. Ok~ I am literally obsessed with this trilogy. As I mentioned in my last post, I read the entire series in six days and couldn't turn the pages quickly enough. For those of you who haven't heard of The Hunger Games, drive to the bookstore right now and buy it. I am the first one to admit that the synopsis sounds totally strange. The first time my friend Stephanie brought it up, all I could think was "weird!?!?" But I'm telling you~ the books (especially the first one) are incredible. It took all I had to branch out from my 'I read books by approximately three authors who I trust so I never feel disappointed' routine. But OH how rewarded I felt! You will never expect what lies around every corner from that moment on. Get in the car (after you finish reading this post) and buy the first book. And read it before March 23rd so you can see the movie version of the book on opening night! I often wonder if my coworkers notice that I wear a different color of these corduroys to work literally every single day. They are just so comfortable. Especially in the winter when your skin wants nothing on but a Barefoot Dreams robe, these pants are the closest thing you're going to get to sweatpants while still looking presentable. And they fit like a dream. They come in short, regular and long (for legs like mine~ha!) and in many different colors. Not to sound like an infomercial, but if you want to get a pair you'd better act fast; they are currently a sale item and won't last long. (and they'll throw in an egg poacher and free shipping if you place an order in the next 12 minutes). Ok. Obsessed. East it at least once a week. And order a large and bring half to work the next day. Which is saying a lot because I normally don't even want dinner food for dinner~ much less its leftovers. 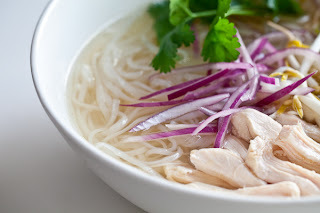 Pho Ga is a delicious Vietnamese noodle soup made up of chicken, rice noodles, basil, mint leaves, green onions and lime. There are also different types of Pho, with beef and other meats, but I can only vouch for how incredible the chicken version tastes. Now excuse me while I order myself some for lunch. 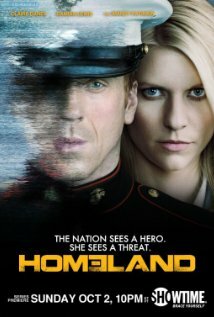 Homeland is a TV show on Showtime and it is jaw-droppingly suspenseful and intense. It centers on a Marine named Brody, who returns home from eight years after going missing in Iraq, and Carrie, a CIA officer who suspects he might be plotting an attack on America. I mean talk about drama. I don't have Showtime, but my parents do, and this past weekend I watched almost the entire season while I was there grading and filling out my report cards. So make friends with someone who has Showtime and invite yourself over. The episodes will be On Demand until March. I was just introduced to this jewelry brand a few weeks ago, and immediately had to order myself a pair of their 'bling' earrings. 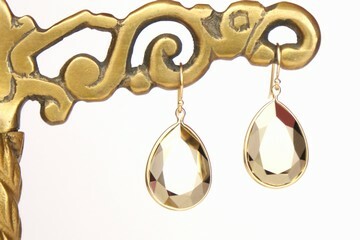 Every piece of jewelry is handmade by JoJo herself and shipped straight from her Boston location to your door. I find some of the jewelry slightly over the top, and honestly the pictures on the website don't do the pieces any justice. But if you want to add a little flare to an outfit that is otherwise under the radar, this brand's for you. With inspiration from my gymnast student and one of my greatest friends, I signed up for an 11-week, adult beginners gymnastics course! My friend Katie and I have attended two classes so far, in which we have prepared for the highly anticipated London 2012 event, the foreword role on the low beam. 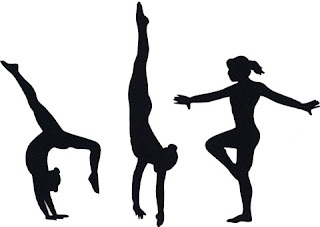 We have also practiced handstands, cartwheels, vaulting, uneven bars and different moves on the trampoline, and that's all in just two hours. One of my New Year's Resolutions was to learn to do something new, so I feel great about going to this class. Not to mention both classes have been incredibly fun. And, most importantly, it gives me an excuse to roll around on the floor and act like a kid again with a great friend by my side. So check out your county's adult recreation classes, and pick up a new hobby! One of the goals on my Life List is to stop peeling and biting my nails. To some of you this may not sound like a big deal, but to me, who regularly snacks on the tips of my fingers in times of stress, boredom, or excitement, it is no small feat. And since the day that I decided that I was going to try and stop biting my nails, I literally might as well have ice cream cones on the ends of my fingers my nails are so tempting to chew on. So this past fall when Shellac walked into my life, it was like a dream come true. exactly what I needed to keep my hands out of my mouth. 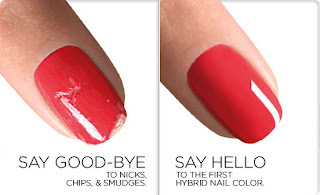 (Ironically enough, my endeavor of growing my nails out coincided perfectly with my purchasing the iPhone. Anyway, I am doing a relatively good job not peeling my nails. However, I did relapse during The Girl with the Dragon Tattoo. This past weekend my dad turned 63 years young, and we just had the best day together as a family. We spent the morning at the shooting range, and had a festive dinner at Clyde's that evening to continue the celebration. I just feel so at peace there; content and loved and so, so happy. Ok, ok, so clearly this is not a new obsession. I believe I have been obsessed with Sugarland for at least 5 years now. However, I just recently discovered two of their songs that I absolutely love, Shine the Light and Stand Up. Waiting there in the end, is a heart that calls you a friend. That's me, clapping the loudest, welcoming you home. I mean, really. Just get me a tissue already. I love Mother Nature when she surprises us in the middle of winter, with a string of sixty degree days that warm my heart. She has been shining on us this week. I've enjoyed long Kenzie walks and have run errands by foot, just the way I like it. So speaking of that, I better get outside and continue enjoying it while I can. I know it's only a matter of time before she hears that the Groundhog saw his shadow this year.